However, now we cannot say how many people have been taken to hospital for treatment. Officials from the [provincial] health department are only going to visit the areas today. We are now trying to help pregnant women who are also caught in the aftermath of the floods. Sick people cannot even get to the clinics because of the high level of waters surrounding their homes. 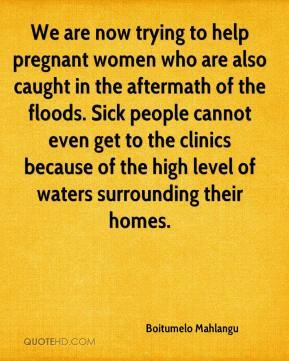 We are now trying to help pregnant women who are also caught in the aftermath of the floods. 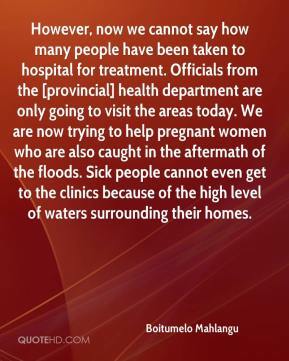 Sick people cannot even get to the clinics because of the high level of waters surrounding their homes. We have a vast area to cover and so assessment will take a few days. 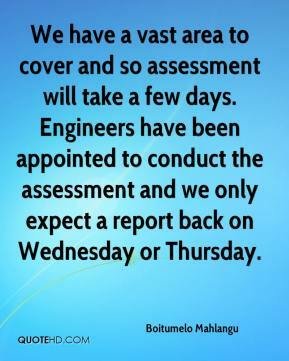 Engineers have been appointed to conduct the assessment and we only expect a report back on Wednesday or Thursday. 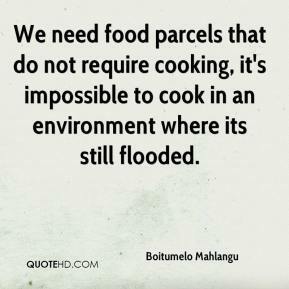 We need food parcels that do not require cooking, it's impossible to cook in an environment where its still flooded.